The director of marketing and public relations at Faux Effects International, Inc., and a decorative-finishes applicator for more than a decade, Rebecca Slaton can trace the rise of metallics back to the early 2000s. The move to old-world grandeur has continued to evolve and gain momentum, now embracing polished gold tones and making appearances on ceilings in virtually every room of the home. Tom Henman of Decorative Painting, LLC in Lancaster, PA concurs. 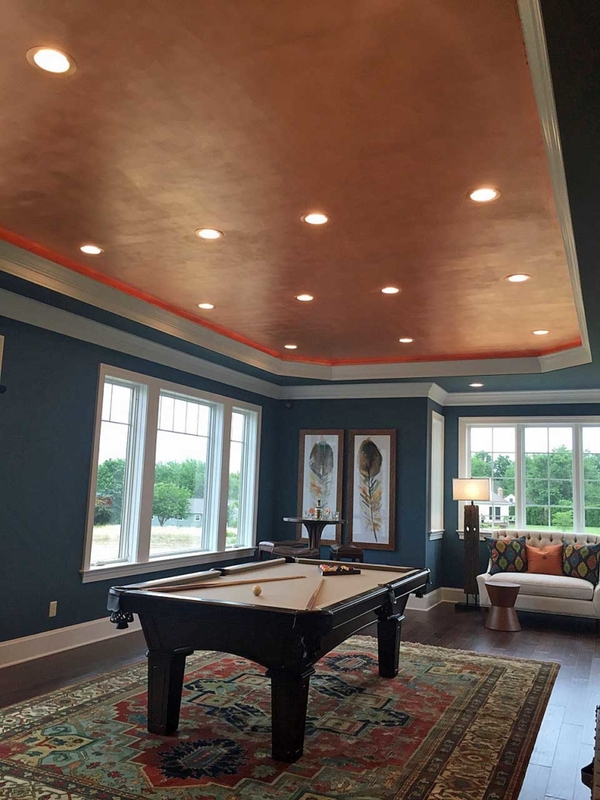 Henman, who sees an equal interest in metallics among both his commercial and residential customers, thinks ceilings are the ideal place for the shimmering treatments. “Metallic ceilings can really open up a room or space, as they reflect a lot of light. Plus, they look different from every angle, which makes them just a treat for the eye,” he explains. Henman says the majority of his customers have no idea how many metallic finish options exist. To help with the selection process, he shoots videos of almost every project he completes and posts them to his website and social media. “You want to shoot the room from every angle so you can show how the light plays from each, and show the effects different finishes have. If it shimmers, show it,” he says. For added effect, Henman tries to capture customer reactions to completed projects. “If you can capture that ‘reveal moment,’ well, it just makes it. Plus, it’s really gratifying. 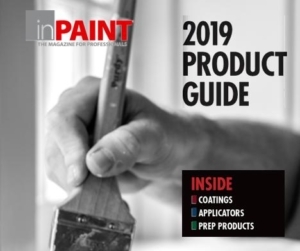 Both Slaton and Henman are big advocates of faux finish education for pros.